The New York Times is nicknamed "The Grey Lady" of the traditional news media. That being the case, they might not be your first guess if you were told to predict which newspaper would dive headfirst into virtual reality. But that appears to be the case: the Times announced today that it's launching a new series of short investigative films intended to be viewed on the new crop of VR headsets that use phones as viewers, like Google Cardboard and Samsung VR. The first entry, "The Displaced," follows refugee children from the Sudan, Ukraine, and Syria. Three films will be published this year with more expected in 2016. In order to facilitate the new VR films, the New York Times is offering free Google Cardboard viewers to Times Insider (and some Times Digital) subscribers. They'll be sent an email code that will be redeemable for a free version of Google's low-cost, assemble-it-yourself VR headset, which will be delivered with physical copies of the paper. Users will need to download the NYT VR app (which isn't available on the Play Store or App Store yet) and presumably sign in with a Times account to get access to the videos. Subscribers who don't want the 360-degree virtual reality experience will be able to watch the films on YouTube (possibly for free), or simply use the app in a fullscreen mode. NYT VR is scheduled to be published on the Play Store starting on November 5th. Cardboard units will be shipped to NYT subscribers shortly thereafter. Sponsored VR videos from GE and car manufacturer Mini will also be included. NEW YORK--(BUSINESS WIRE)--The New York Times announced the launch of NYT VR, a new virtual reality project in collaboration with Google. The project includes the distribution of more than one million Google Cardboard viewers to home delivery subscribers with their copy of The New York Times the weekend of Nov. 7-8. In addition, Times Insider subscribers and a selection of Times digital subscribers will receive promo codes via email to redeem for a free Google Cardboard viewer, which is simple to use and allows anyone to experience virtual reality with a smartphone. The debut NYT VR film, titled “The Displaced,” captures the resilience of three extraordinary children uprooted by war, all through the lens of virtual reality. The New York Times Magazine, in collaboration with Chris Milk and his virtual reality companyVrse, created the film to enable readers to experience what it means to be a child caught in the global refugee crisis. There are now more than 30 million children around the world who have been driven from their homes by war and persecution -- more than at any time since World War II. The film brings viewers into daily lives of three children from South Sudan, eastern Ukraine and Syria. 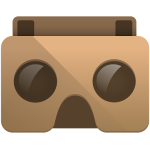 The Google Cardboard viewer offers the most immersive experience but users without Cardboard viewers are also encouraged to download the NYT VR app for an enhanced video experience that opens a window into the virtual reality environment. A version of the film will also be available in 2-D on NYTimes.com. Users can also go to the NYT YouTube channel to find the videos or visityoutube.com/360 for more immersive virtual reality content.